Tobii Glasses 2 is a new generation wearable eye tracker that shows exactly what a person is looking at in real time, while moving freely in any real-world environment. 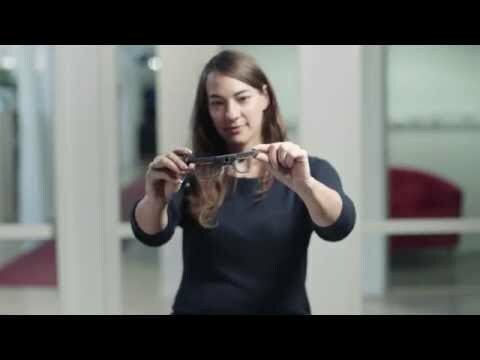 Based on a new, proprietary, wearable eye-tracking platform from Tobii that will support research and consumer applications, Tobii Glasses 2 offers unprecedented functionality including wireless live viewing and opens up new opportunities for human behavior research and discoveries in real-world environments. The applications and uses for wearable eye-tracking research span many industries, including in-store shopper marketing, user experience and psychology. The Tobii Glasses 2 Eye Tracker is capable of supporting a wide range of research projects and experience levels from first-time eye-tracking users working on one-time studies to researchers experienced in eye tracking needing advanced functionality for comprehensive analytical projects. In 2010, Tobii revolutionized the category of wearable eye-tracking technology by introducing the original Tobii Glasses, the first-of-its-kind wearable eye tracker for research professionals.